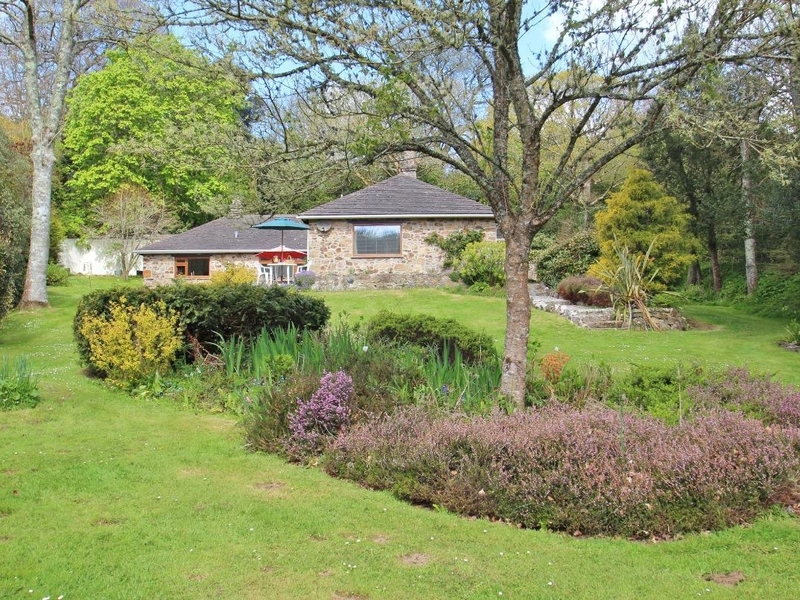 Bosgilly is a beautifully refurbished detached bungalow tucked away in the pretty village of Mawgan. With accommodation all on the ground floor it can sleep six people in two king size double and one twin bedroom. The sitting room has a lovely wood burning stove and both it and the kitchen dining room have lovely views over the garden. There is a shower room and a bathroom. Outside is a lovely garden and doors lead from the sitting room to a sun-trap patio for barbecues and a terrace for wildlife watching. There is also ample off road parking. Occupying a peaceful spot between the Helford River and the ancient market town of Helston Bosgilly is bliss for city escapees seeking some serious R&R. Oil central heating and wood burner. Electric cooker and hob, microwave, fridge, freezer, washer dryer, dishwasher, TV with Freeview, DVD, WiFi. Fuel and power inc. in rent. Bed linen inc. in rent. Off road parking for three cars. Garden and patio with garden furniture and BBQ. Sorry, no pets and no smoking. Pub 10 mins walk. Sea 3 miles Note: Parents should be aware of the garden water features, the stream at the foot of the garden and another stream to one side of the garden with an open bridge. Children must be supervised at all times.